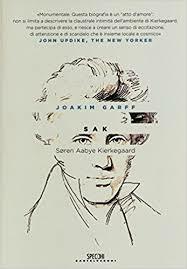 Soren Aabye Kierkegaard Research Papers look at a brief history of this writer's life, his influence on his writings, and his book Works of Love. Research papers on famous philosophers can be obtained from Paper Masters on any philosopher. Kierkegaard is one of the most requested philosophers, as his work is extremely influential. As a well-respected and published academic, Kierkegaard was regarded as a deep thinker and quintessential purveyor of contemporary philosophical ideology. Søren Aabye Kierkegaard was born in Copenhagen in 1813. Kierkegaard lived for 42 years, dying in 1855. Kierkegaard was the youngest of seven, born to an older father and his second wife. Kierkegaard spent his younger years in relative poverty, tending the family’s livestock. His father was a dominating figure whose beliefs were based in a strict form of Christianity, and who also suffered bouts of depression. When Kierkegaard was twelve, he was sent to Copenhagen to live with an uncle, and receive an education. He completed his parochial studies at age 17, and subsequently attended the University of Copenhagen. Kierkegaard’s writing was strongly influenced by his father’s view of religion. The author was taught that Christ suffered, and that the world is ruled by lies and injustice. Micheal Kierkegaard’s emotional instability led him to believe there was a curse upon the family. Presumably, his family was condemned because he had cursed the name of God many years prior. This depressing viewpoint made the young boy miserable because he could not resolve how a man he loved so deeply could teach him that the world was a cold, cruel place. While at University, Kierkegaard rebelled against his father’s oppression by pursuing pleasure to great expense, thus isolating himself from his father. Michael died suddenly during Kierkegaard’s college years. Despite the recent estrangement, the author embraced his father’s superstitious nature, and believed his father died because of his recent debauchery at school. Additionally, the author’s work was influenced by his own fight with depression. The first significant episode occurred while he was still in school, causing him to take a break from his studies and spend some time by the coast. Later, he was engaged to a girl, but broke off the relationship because he loved her so much he did not want her to deal with his depression. This fact haunted him throughout the rest of his life, and inspired much of his work. According to Douglas Steere, in his Introduction, Works of Love was finished in 1847, and published in Denmark the following year. It is Kierkegaard’s greatest single work on Christian ethics, and explores what is meant by the great commandment: “Thou shalt love thy neighbor as thyself.” Steele notes that in his Journals, Kierkegaard lightheartedly remarked that, “most people really believe that the Christian commandments [e.g., to love one’s neighbor as oneself] are intentionally a little too severe – like setting the clock ahead half an hour to make sure of not being late in the morning”. Paper Masters writes custom research papers on Soren Aabye Kierkegaard and look at a brief history of this writer's life, his influence on his writings, and his book Works of Love.